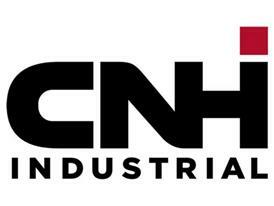 CNH Industrial inaugurates a new Parts and Service centre in Shanghai. The facility joins the company’s network of 4 existing depots located across the country to significantly reduce delivery times to customers of its New Holland Agriculture and Case IH agricultural equipment brands and Iveco and Iveco Astra commercial vehicles. CNH Industrial inaugurated a new Parts & Service centre in Fengxian, a suburban district of Shanghai on March 15, 2016. The facility will supply parts of CNH Industrial’s agricultural brands, Case IH and New Holland Agriculture, and its commercial vehicles brands Iveco and Iveco Astra. The centre will provide a comprehensive range of after-sales product support solutions for dealerships and customers with the aim of maximizing the productivity of their equipment and vehicles. The newly inaugurated 2,500 m² depot is designed to serve Chinese customers with fast and efficient delivery of a complete range of parts, assuring the long term value and performance of current and past products. The quality and timely availability of parts and services are important considerations in a customer’s original equipment purchase decision and critical to the success of their business. To provide the efficient parts service its dealers and customers require, CNH Industrial operates and administers 5 parts depots across the Chinese territory. The new parts facility in Shanghai, operated in partnership with CNH Industrial’s distributor Kuehne + Nagel, will benefit from the latter’s component storage and logistics management expertise and the former’s global resources and organisation. The new depot will strengthen CNH Industrial’s network of facilities in China, greatly reducing delivery times to keep customers’ equipment and vehicles running efficiently. The new Shanghai Parts Distribution Centre comes with a significant inventory investment, particularly for the company’s commercial vehicles segment. More than double the quantity of stock keeping units is now stocked in China, dramatically improving the immediate availability of parts, cutting lead-times to the dealer network. Case IH is a leader in the Chinese market in a variety of segments such as large tractors, large Axial-Flow combines, sugarcane harvesters and self-propelled sprayers. New Holland Agriculture is a market leader in the hay and forage and high horsepower tractor segments. Iveco holds a leading position among foreign premium truck manufacturers in China.